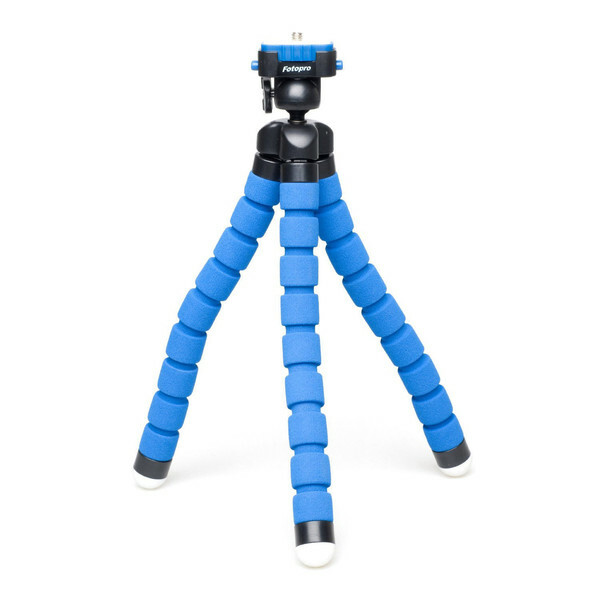 Blue Flexible tripod designed for quick use with all types of digital cameras. 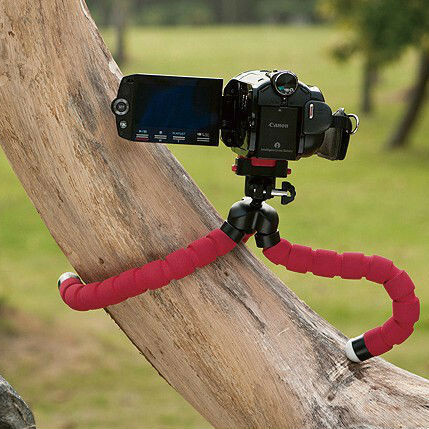 Unlike traditional tripods, its all-terrain flexible legs enable enable you to capture unique angles anytime , anywhere. 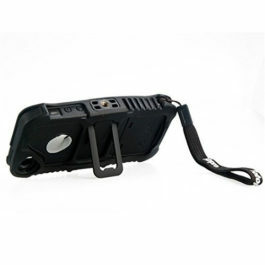 Includes quick release plate. 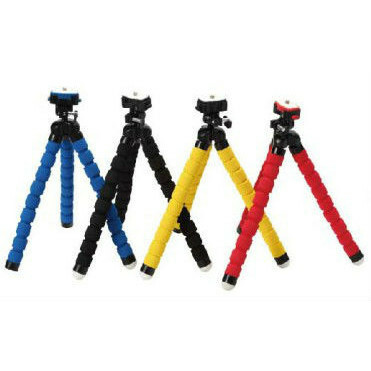 Blue Flexible tripod designed for quick use with all types of digital cameras. 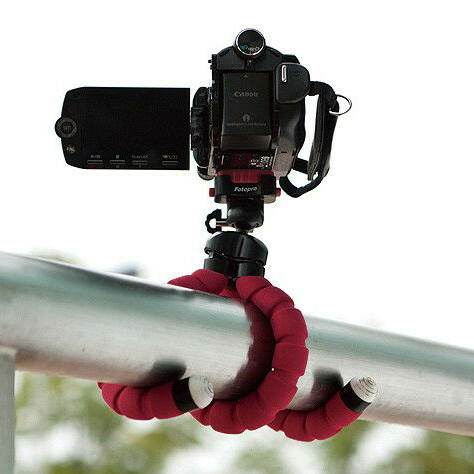 Unlike traditional tripods, its all-terrain flexible legs enable you to capture unique angles anytime, anywhere. 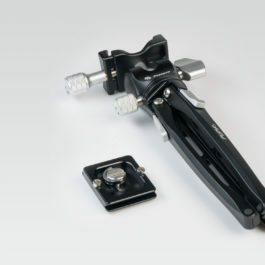 Includes quick release plate. 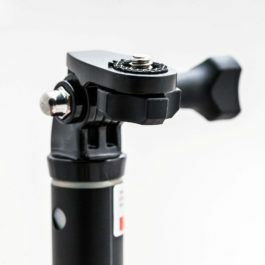 Unfortunately this tripod, while standing on all three legs, will not allow you to take a picture in “portrait” orientation, only landscape orientation. Could you please specify your trouble? 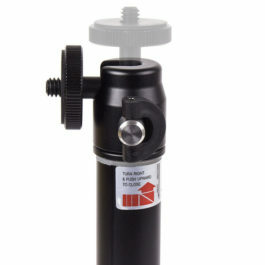 For more assistance, please reach us at support@fotopro.com.